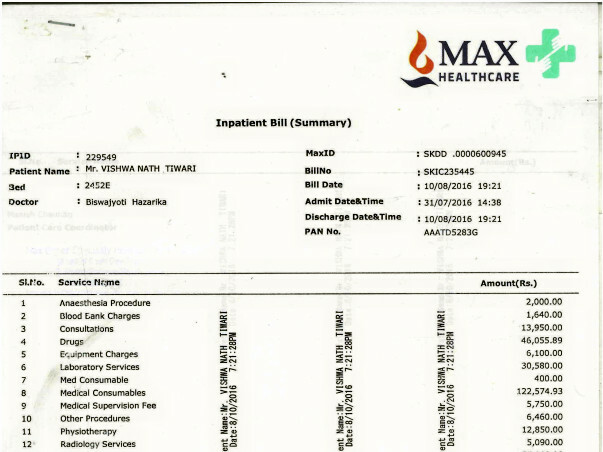 A father of a deaf and dumb girl undergoes a risky neck cancer operation and spent 4.5 lacs in Max hospital Saket. This money was arranged by solding the Land of her daughter. Reason: They have waited 3 months in AIMS since May while they have biopsy report already clearded and confirmed Neck Cancer from day one. Still in AIMS they follow every step and waste time in name sake of procedure. 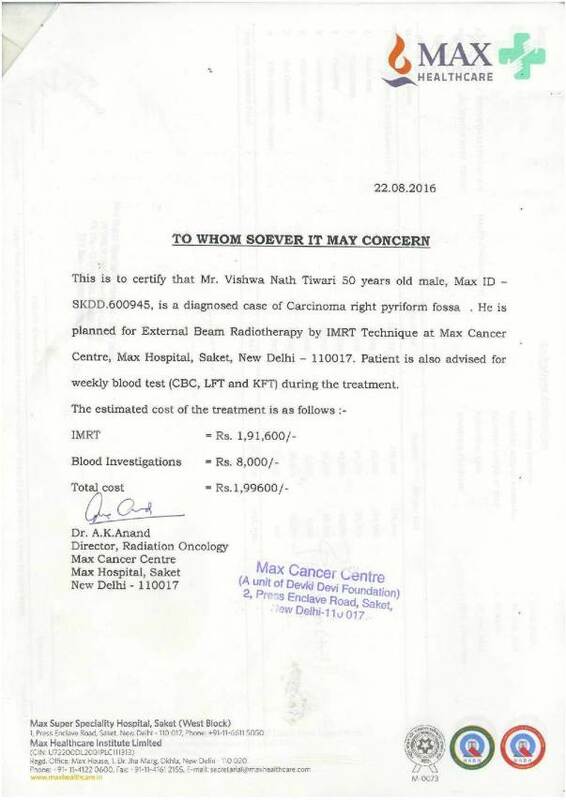 Dr. Rajiv, Surgeon Oncology, then confirmed date of 28 July as operation date and on 28 July he denied for operation and told to go to any other govt Hospital or private hospital due to his busy schedule. What it means AIMS have only one doctor for Neck Cancer. What is the benefit to have such institute/hospital with super facilities and no facilities to required patients even after waiting long 3 months time?? Seeing the condition we decided to go to MAX Hospital Saket where surgery was done with all test and medical with the expenditure of more than 4.5 Lac. 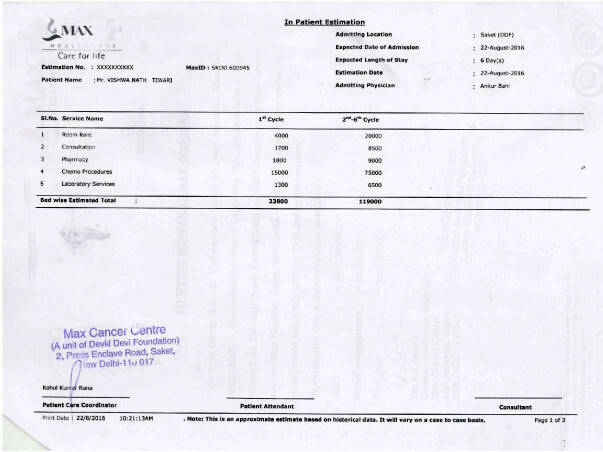 Now again it is asked to spend approx 4 lac or more for Radiotherapy and Chemotherapy. 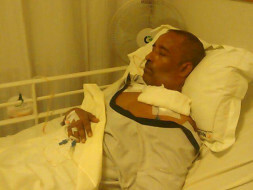 After the operation Paitent will not be able to breath from nose it will be possible by a hole near to chest. The paitent will not be able to speak anymore permanently. He has 3 daughters and one boy who are fully dependent on Mr. Vishwanath (Patient) is my uncle as well. The girl is eldest and couldn't able to listen and speak both by birth. It is real worry for them to sustain the daily life further for their children. In Noida these days they are with me and i feel i can atleast initiate some campaign for a good thing to help them. It is my humble request to do some fundraising for real cause. 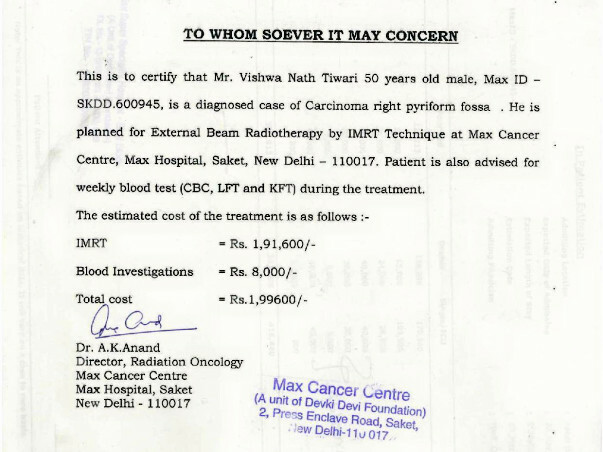 The target is set for radiotherapy + Chemo Therapy + Treatment and medications.